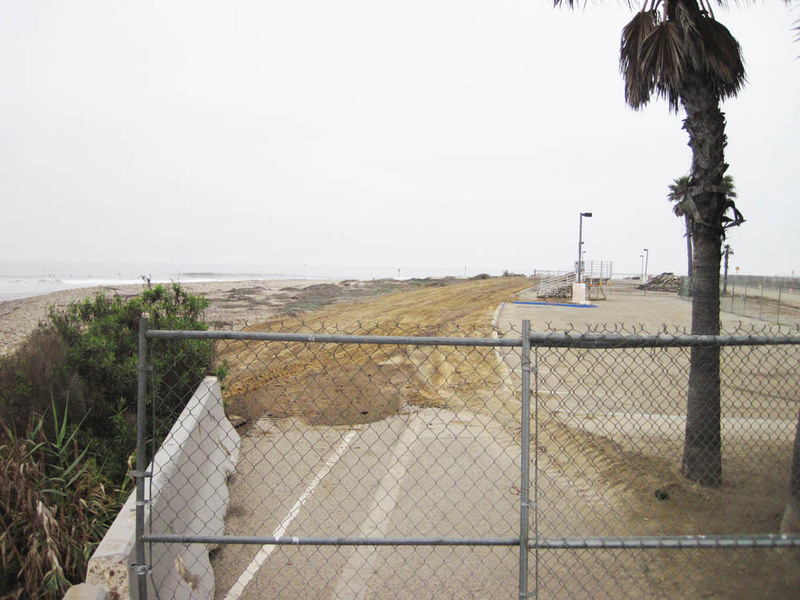 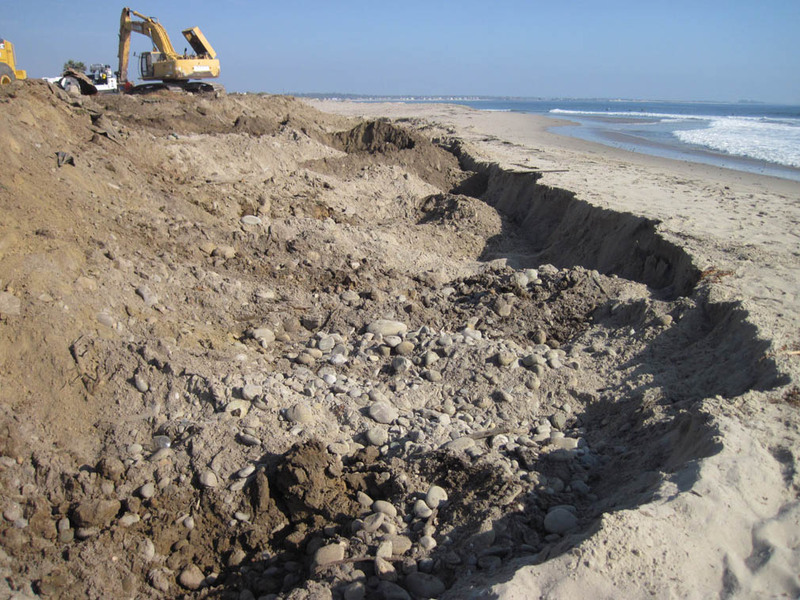 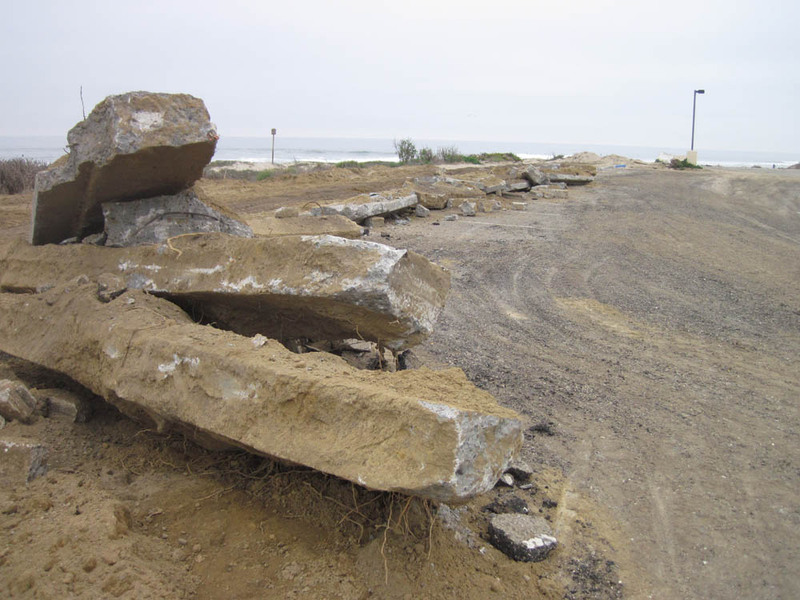 In what is probably the biggest "beach cleanup" in Ventura County history, contractors last week made progress on demolition work at Surfers' Point. 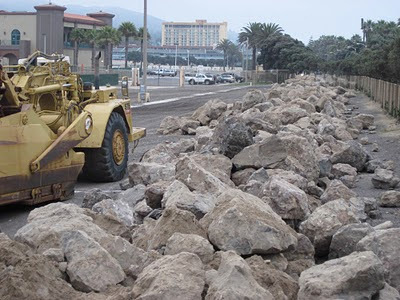 Piles of concrete, asphalt, and rocks accumulated rapidly with the work of heavy machinery. The rock 'rip-rap' revetment near the rivermouth was moved to the Fairgrounds parking lot. A portion of the asphalt bike path was removed. 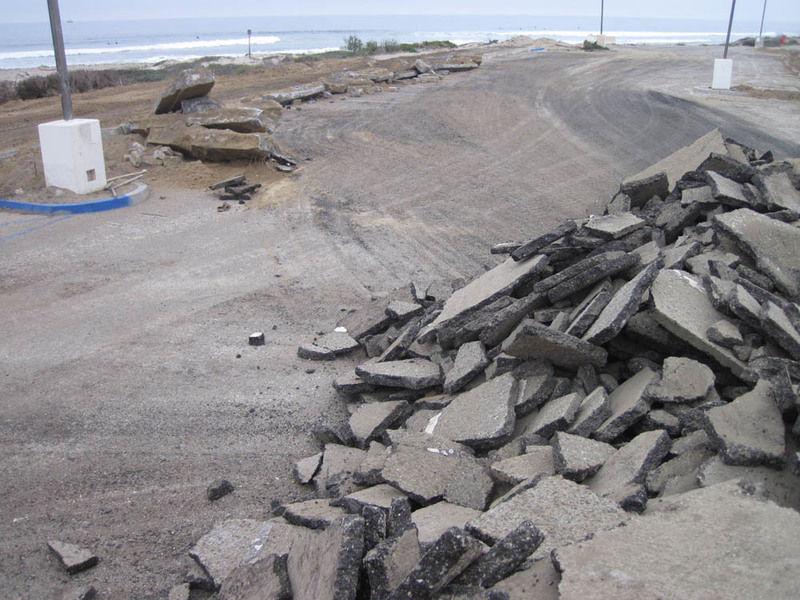 Much of this concrete and asphalt will be recycled and re-used in the new parking lot.